VIENNA (Sputnik) - Austrian authorities will extend border controls on its frontiers with Hungary and Slovenia for another six months until May 2019, Austria Press Agency (APA) reported, citing a document prepared by the country's Interior Minister Herbert Kickl. 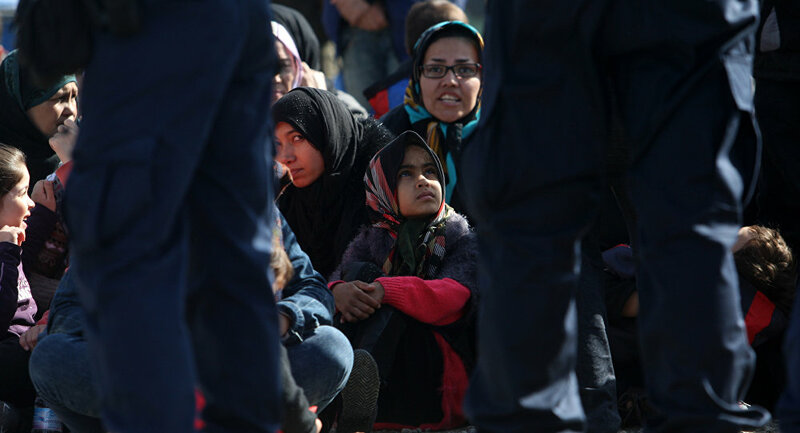 "Due to the large number of detentions of persons or asylum seekers who illegally entered or stayed in the republic, the Austrian Federal government has come to the conclusion that the situation is not stable enough. For this reason, Austria has decided to introduce internal border controls with Slovenia and Hungary after November 11, 2018," the document said, as quoted by Austria Press Agency (APA). The document should be sent to Brussels and other Schengen countries later on October 11, according to the agency. Austria temporarily reintroduced border controls with Hungary, Italy, Slovakia and Slovenia in September 2015 at the outset of the migrant crisis in Europe. Since 2015, Europe has been dealing with a migration crisis, with scores of refugees arriving from conflict-torn countries. In recent months, EU leaders have repeatedly expressed a willingness to pay more attention to cooperation with the countries of migrants' transit and origin.